H2o Solar Power was established in 2003 and started life as a small based solar Thermal supplier and installer in the South East UK. We have remained in this now thriving industry concentrating on the two major technologies Solar PV & Solar Thermal also offering our knowledge and install experience in Air Source Heat Pump technology. H2o Solar Power have vast experience in both fields of Solar PV & Solar Thermal systems, and with all this in hand we are now have several engineers that specialise only in the repair and maintenance side of Solar PV & Solar Thermal installs. 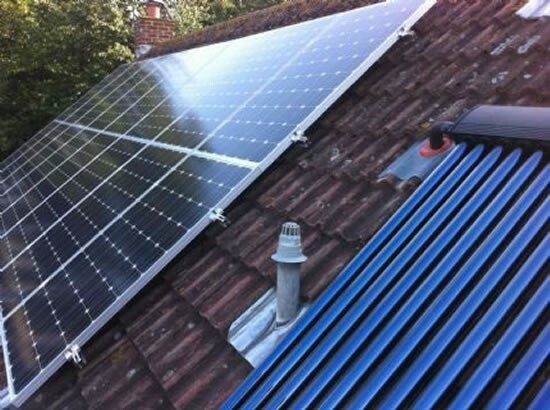 If you believe to have a fault or just an under-performing solar PV or solar thermal system installed we can take our expertise & knowledge to your doorstep to protect your investment and earning performance of your solar PV system or RHI solar thermal install. H2o Solar Power also now offer Solar PV monitoring equipment as a one off low install cost along with a small maintenance package which allows us to monitor your Solar pv system from our remote office based computers. Now with remote solar pv monitoring in place you no longer have months even years in some cases of a faulty non producing pv systems loosing you hundreds of pounds in lost FITS revenue. If you are interested please do contact us to discuss the benefits of solar PV remote monitoring. We like to keep operations simple at H2o Solar Power! We just believe that with increasing energy costs we can give people alternative energy solutions to saving money and earn tax-free cash incentives at the same time. Almost five years in with the FITS payments and of course the much lower install costs of equipment you've still got the added benefit of a guaranteed return for your investment. H2o Solar Power has been trading in renewable energy for 16 years in August this year. We started out installing Solar Thermal systems back as a small business in 2003 that has taken us to a steady growth of knowledge and experience in this field. H2o Solar Power believe that with our expert experience and track record in the Solar Thermal industry in choosing us as your primary choice for installations we can deliver a fully designed and accredited system designed and installed by installers (not High Pressure Salesmen) to bring to you a solar hot water system that not only is simple and easy to understand but also delivers performance with value for money also. H2o Solar Power fully specialise in the repair and ongoing maintenance of already installed Solar Thermal systems whether domestic or commercial we can take care of all maintenance aspects of this industry with well over 16 years experience in these fields of technologies. Don't delay or waste time on a company you can't trust, call H2o Solar Power today; we are here to help improve/repair/ and protect our renewable investments for now and the future. In April 2010, domestic homeowners and commercial buildings of businesses have been able to generate their own onsite electricity plus sell any surplus electricity back to their energy suppliers. This is part of a massive drive by the Government to greatly reduce our dependence on fossil fuels. The new FIT’S (feed-in-tariffs) have the ability to actually save households and businesses an absolute fortune in ever increasing energy bills with the added bonus from making money from the energy they also produce, of course tax free and index linked with the retail price with some calculations still suggesting a total average saving per household of around £500 per year, business and commercial a considerably larger saving can be achieved.